Passport Point of Sale for EMV | CSESCO INC.
Passport® makes it easy to upgrade from your G-SITE. 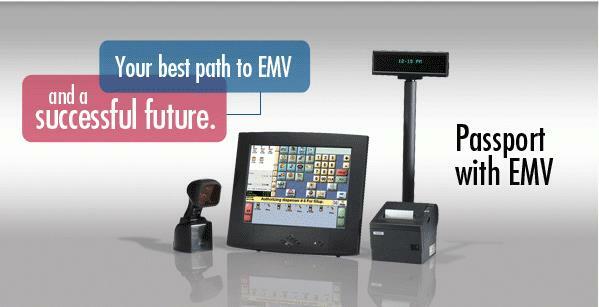 It’s an investment in this c-store POS system that turns a profit and provides an easy path to EMV and PCI compliance. Let the leader you trust, Gilbarco Veeder-Root, show you how Passport is your best choice for today and tomorrow. Gilbarco Veeder-Root brings you the total site solution for EMV and PCI PA-DSS forward requirements for payment on the island and inside your store. And Passport is built to bring you new features faster in the future, giving you the competitive edge. Passport’s intelligent design and intuitive touch screen take the hassles out of high-tech. It improves uptime and reduces service costs. Your cashiers will benefit from shortened training time. Special features help cashiers process transactions quickly and accurately in French or English. The most powerful business tools. Get ready to boost your efficiency, productivity and profitability. Manage your employees and enjoy tighter tracking and control over your business. Superior features also give you competitive tools to increase profitability and grow your business. Advanced system architecture provides the most reliable, flexible, future-proof route to maintain EMV compliance.